Do to FAA regulations and the proximity to a nearby airport, we are not able to provide drone footage of this property. 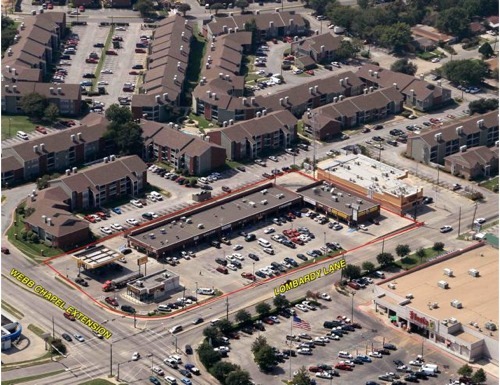 Pecan Plaza is located at the SWC of Lombardy Lane and Webb Chapel Extension in Dallas, Texas. The center is conveniently located near apartment communities, Northwest Highway and Dallas Love Field Airport. The vibrant center includes Millennium Gas Station, Wing Stop, PLS Check Cashers, dental and other neighborhood services.